Carl Ostermann is the new Vice Champion of the FFM CHAMPIONAT DE FRANCE SUPERCROSS 85cc 2018! Fox youngster Carl Ostermann came in second overall in the Grand Final of the French Supercross Series in Saint-Georges-de-Montaigu, and secured his place as vice-champion 2018. Following a screwed up start in the first race, Carl had to work his way forward on a difficult and challenging track and finished in fourth place. In the second race he was much more successful finishing second with a place on the podium. Of course I’m thrilled that I completed the series as vice champion. If I hadn’t lost so many points at the beginning, the result might have been even better. Today the screwed up start threw me far back and therefore it wasn´t my strongest race weekend at all. But luckily that didn´t have influence on the title anymore. 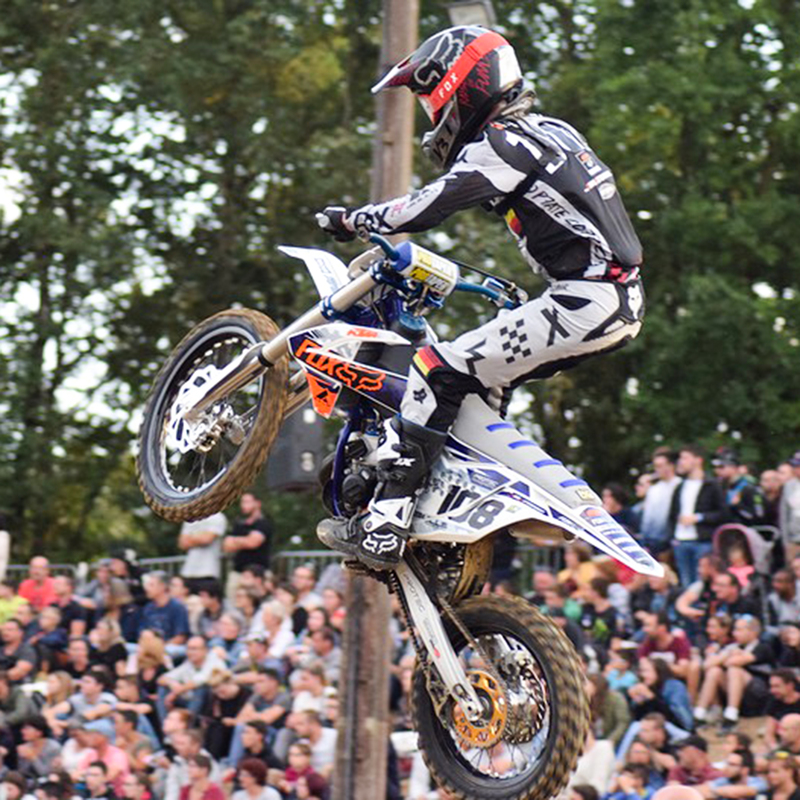 Carl finished with a 2nd at the French SX espoir championship. The transition from indoor arena to fast outdoor French SX tracks wasn’t easy but he progressed a lot through the championship to finish with an impressive speed.